get on with hauling the sun across the sky. 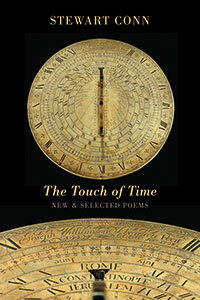 The Touch of Time: New & Selected Poems is a comprehensive retrospective, drawing on ten previous books published over the last five decades, including his prize-winning 2010 collection The Breakfast Room, and concluding with a section of new poems. The new work pursues themes established in his earlier Bloodaxe collections Stolen Light: Selected Poems (1999), Ghosts at Cockcrow (2005) and The Breakfast Room (2010). With what Carla Sassi sees as ‘his thoughtful attention to small details, his redeeming gaze, his formal control of impeccably constructed verses, and his deep and warm humanity’, he movingly explores everyday events and revelations and how – like our lives and those of our loved ones – they are transformed by time.